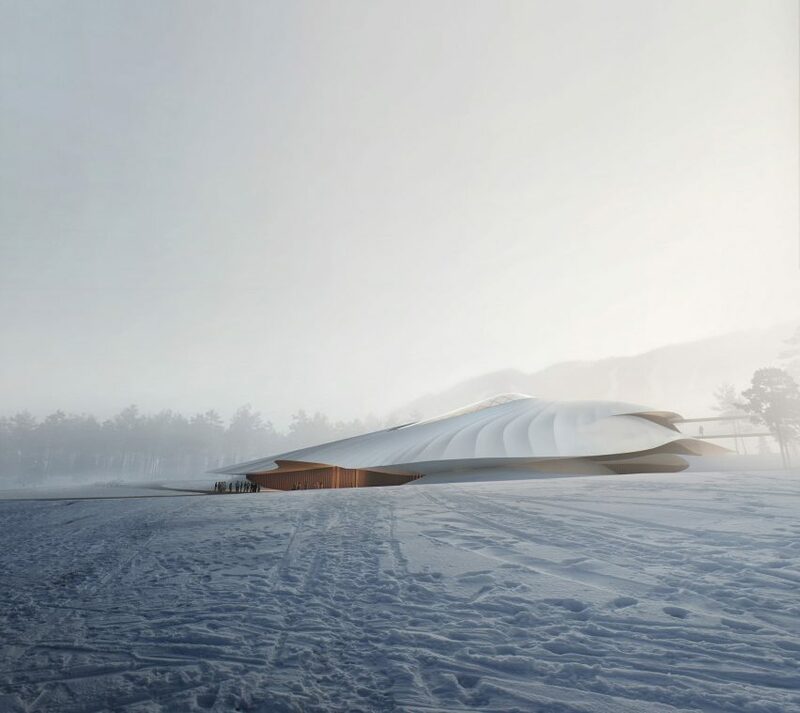 Construction has begun on a sinuous conference centre designed by MAD for the mountainous region of Yabuli in northeast China. Named the Yabuli Conference Centre, the 16,198 square metre venue will become the permanent venue for hosting the annual China Entrepreneur Forum (CEF) event. 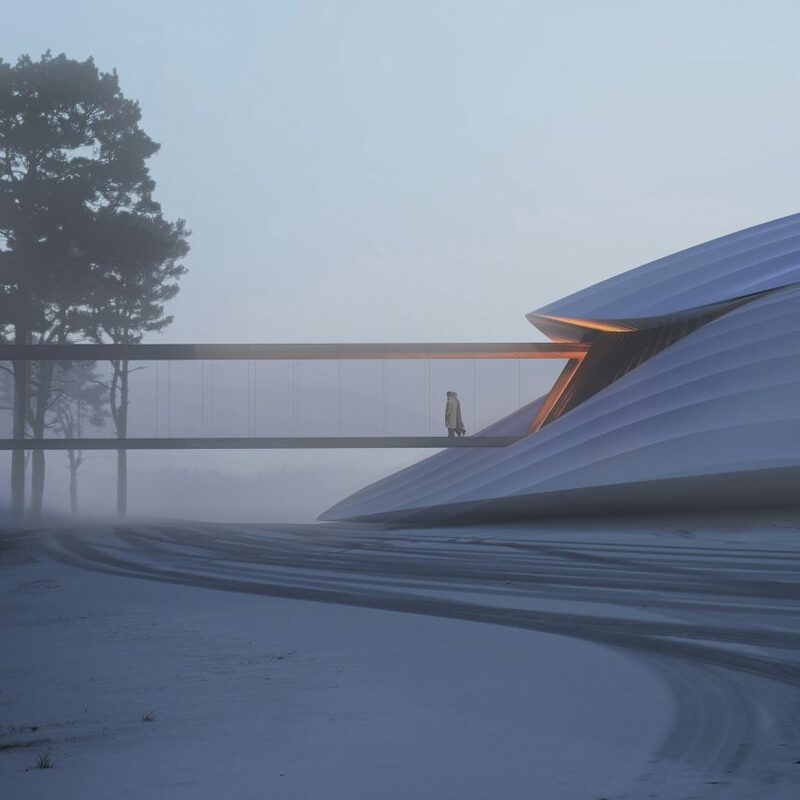 The four-storey building will contain a large 1,000-seat auditorium, as well as a secondary 350-seat venue and a series of conference rooms and studios. The building will also include a library space. 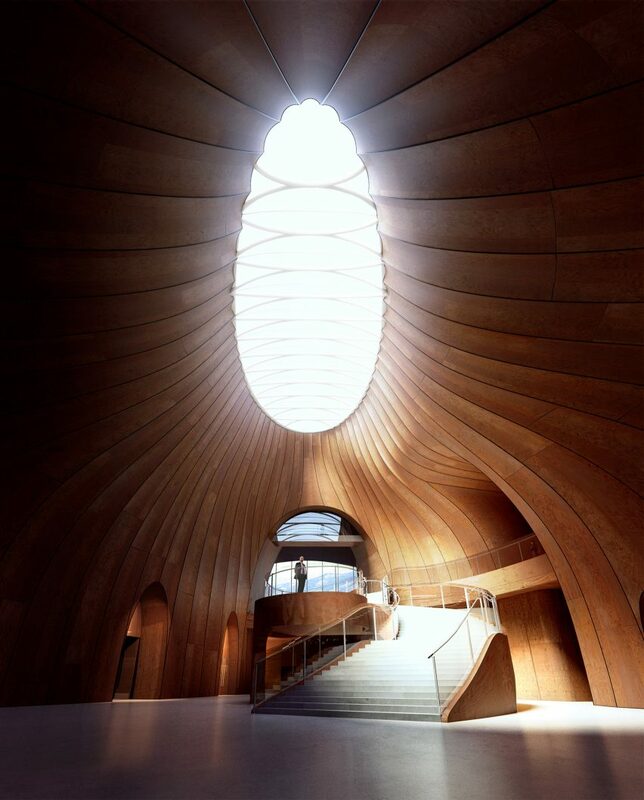 According to MAD, the building takes its form from the surrounding mountains, rising in a shallow dome-like form to a height of 24 metres. 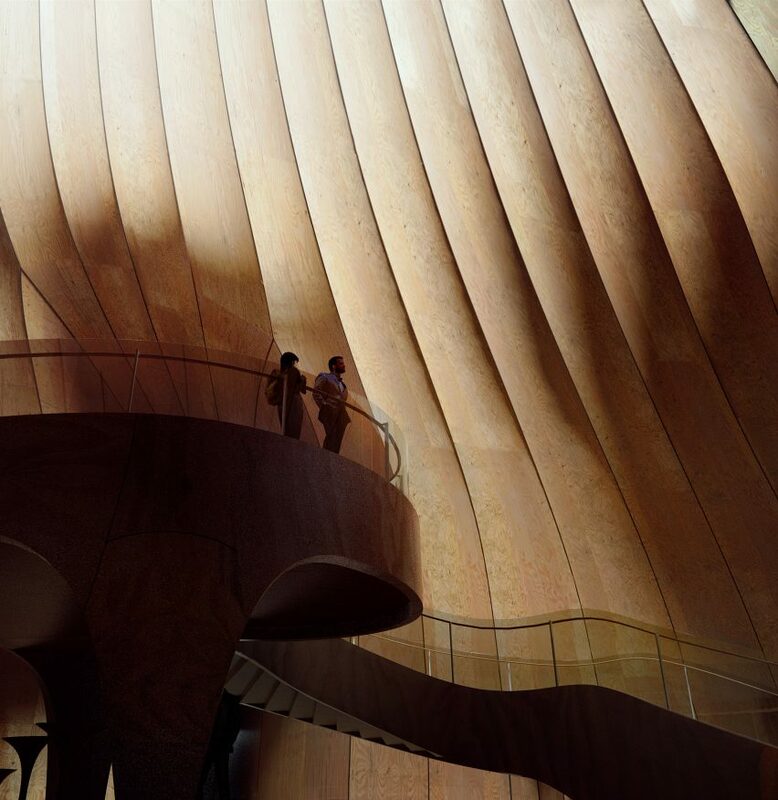 “While humble in its presence, it does not lose the dynamic atmosphere of northern China – integrated with the sky, the ground, the snow, the forest, and the mountains,” said the Beijing-based practice, which is led by architect Ma Yansong. The building’s conference facilities will be divided on either side of a central entrance hall that is topped with a large skylight. This entrance hall will be entered at ground floor level from a public space at the front of the building and on the first floor from a secondary public square. Construction of the conference centre began earlier this year, with completion scheduled for 2020. Earlier this year, MAD broke ground on a museum for George Lucas in Los Angeles, while its Gardenhouse residential complex in Beverly Hills, which is designed to look like a village on top of a hill, is nearing completion.